This is one of the best garden annuals. 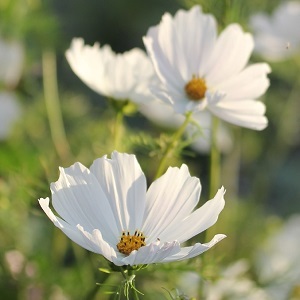 Cosmos ‘Purity’ has large pure white flowers with yellow centres, coming out from June/July all the way to October. The flowers grow to a good height of 90-120cm, and are surrounded by attractive feathery leaves. Flowering continues to the first frosts with dead heading. These make good cut flowers. Cosmos ‘Purity’grows best in full sun and moist well drained soil. Plants are attractive to pollinators. Pack of approx 150 seeds. Sow indoors from March to May, or directly in the ground once all risk of frost has passed (May to June depending on where you are in the UK). 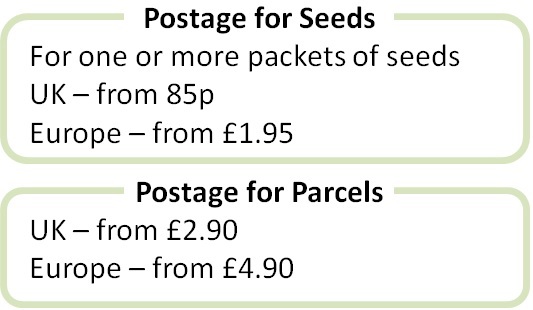 Sowing instructions are printed on the packet.